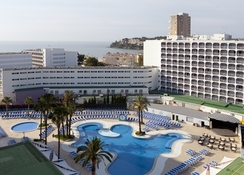 Situated in the heart of the resort, Samos Hotel Magaluf is just steps from the nearest sandy beach and is surrounded by a string of restaurants, shops, cafes and bars – and with superb transport connections too, guests will have easy access to most of the island. 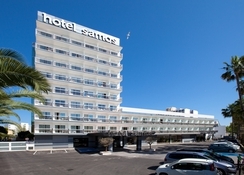 Samos Hotel Magaluf has a wide selection of rooms to suit all guests, each with a terrace offering views of the sea, city or mountains. 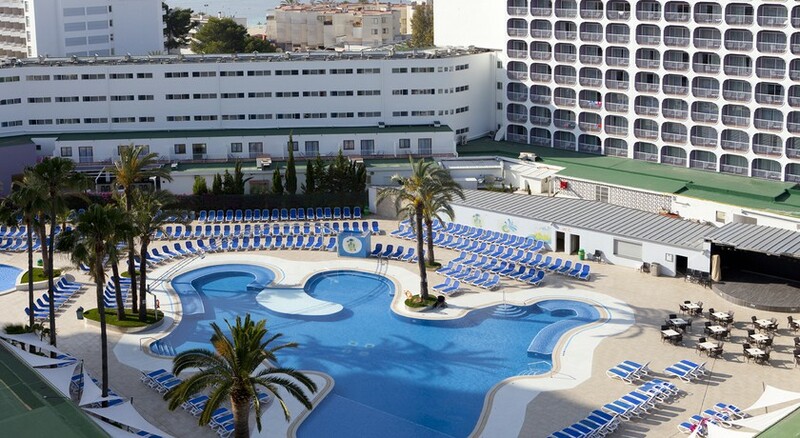 There is a large outdoor pool and solarium area ideal for relaxing, with various sporting activities, a games room and evening entertainment available for the leisure of the hotel’s guests. The buffet restaurant delivers a luxury experience leaving guests with nothing more to do other than relax and take things easy. The airport is just 30km away from Samos Hotel Magaluf and there are many attractions, including golf courses and waterparks available for guests to take advantage of. The hotel boasts an ideal location close to the gorgeous beach and town, meaning getting around the resort won’t be difficult. If guests ever tire of the swimming pool and beach (unlikely, we know) nearby there are attractions including the Pirates Adventure Show and Western Water Park where kids, big and small, can make a splash. The bus stop is a 3-minute walk and will take you to some of Majorca’s popular attractions such as Blue Flag beaches, markets and the capital of Palma. With restaurants, cafes, shops and bars within walking distance from the hotel, you’re sure to have everything you need. The hotel provides guests with Standard, Standard with Sea View, Single Room, Quadruple and Premium Rooms available. 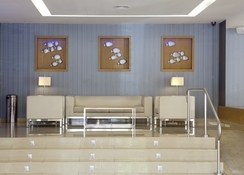 There is a total of 417 rooms at Samos Hotel Magaluf and all are well-appointed and smartly designed. Many of the rooms benefit from expansive views over the bay or the pool, but all come with an array of features including hairdryers, baths, showers and complimentary toiletries. Every room has air-conditioning, satellite TV, a safe, mini fridge and a kettle. Those who are staying in a Premium Room will also have a guaranteed sea view, free Wi-Fi and complimentary use of the mini fridge. Guests are given the chance to sample tasty local dishes and stunning international dishes in the hotel’s on-site buffet restaurant – which serves breakfast, lunch and dinner. The restaurant is the perfect place to embrace the atmosphere and kick-off the night in style. The modern indoor and outdoor bars serve a wide choice of alcoholic and soft drinks as well as light bites throughout the day while sports can also be viewed on the large screen. Throughout the day, guests young and old can enjoy all that is on offer when it comes to games and sports. There is archery, darts, table tennis, billiards and game activities on offer in the games room. The outdoor complex consists of a swimming pool and a relaxing sun terrace - but the activities don’t stop there, there is also volleyball as well as aquagym available too. The friendly staff provide entertainment programmes, professional shows and live music including Karaoke, dance and music performances – so guests ae sure to stay entertained from morning until night. Excellent all inclusive restaurant. 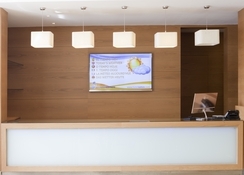 Rooms are comfortable, staff very friendly. 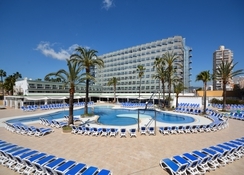 Lovely pool, plenty of sunbeds. Entertainment ladies were great fun. A young persons hotel but as a group of 50+ years young ladies we still had a great time! All inclusive was really good value, staff were nice, and the Rooms where really clean. I stayed there in 2014 and since then the hotel has been refurbed it was much higher standard then before, would certainly visit again.